Gary M. Pomerantz, historian, journalist and Stanford University lecturer, is the author of six nonfiction books on topics ranging from history to sports to civil rights. His first, Where Peachtree Meets Sweet Auburn, on Atlanta's racial conscience, was named a New York Times Notable Book of the Year. He also authored WILT, 1962, about Wilt Chamberlain's legendary 100-point game (a New York Times Editors' List selection), Nine Minutes, Twenty Seconds, about an aviation crash, and The Devil's Tickets about a Jazz Age murder and trial. His most recent book, Their Life's Work, a narrative about the 1970s Pittsburgh Steelers, explores football's gifts and costs. For the past twelve years, he has taught reporting and writing at Stanford's Graduate Program in Journalism. “I can’t say I've ever encountered a book quite like this. It’s essentially the biography of one famous man consciously rethinking his relationship with another famous man, and issuing an apology. 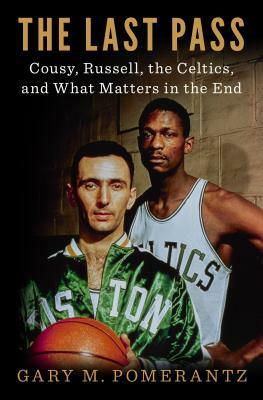 It’s also a detailed portrait of the early NBA, and the writing style is exactly what you want—clear, understated, and as efficient as the players he describes. All historical writing should aspire to this." – Chuck Klosterman, author of But What If We're Wrong?